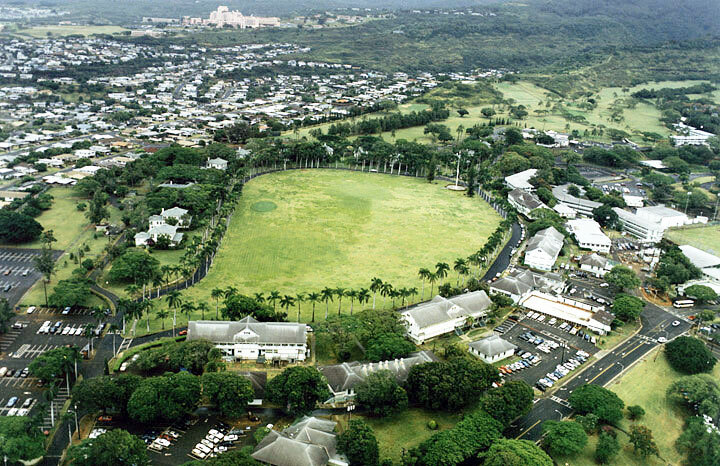 Fort Shafter, the U.S. Army's oldest installation on Oahu, will celebrate its 100th birthday with a free celebration open to the public June 22. Food booths, rock-wall climbing, Army equipment displays and other entertainment will be held from 10 a.m. to 5 p.m. at Fort Shafter's Palm Circle. An opening ceremony at 11 a.m. will include distinguished speakers, the unveiling of a centennial tree, the dedication of Palm Circle as a National Historic District and the sealing of a time capsule. 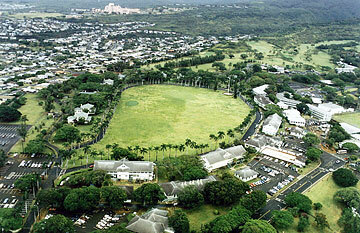 Public parking will be available at Shafter Flats below Fort Shafter on the south side of Moanalua Road. A shuttle bus to Palm Circle will run throughout the day. For more information, call 438-9761 or 438-6347, or visit www.usarpac.army.mil. An irradiator facility near Honolulu Airport would pose no significant environmental impact if terrorists were to attack it, according to the U.S. Nuclear Regulatory Commission. The NRC is considering a license application from Paina Hawaii for a facility that uses radioactive cobalt-60 to kill pests on fruit and other produce for export. The agency's conclusion is in response to questions raised during a public hearing in February on the license application. The NRC said its safety and security requirements and design requirements of the type of irradiator proposed provide adequate protection against successful terrorist attacks. The findings are included as a supplemental appendix to a draft environmental assessment the NRC issued for public comment last December. WAILUKU » The Maui County Water Department has issued a drought warning and a mandatory 10 percent cutback in water usage in Upcountry areas. The reduction applies to areas along the slopes of Haleakala from Haiku to Kanaiao. The decision yesterday follows a continuing drop in water at storage facilities at Kahakapao and Piiholo along with low flows at the Wailoa ditch. County water spokeswoman Jacky Takakura said customers who use less than 400 gallons of water a day or less will not be receiving notices of the 10 percent cutback because they are already conserving water. She said farmers have a 30-day waiver, after which they are required to comply with the 10 percent cutback. Lane closures on Farrington Highway along the Waianae Coast begin today as the state Department of Transportation starts construction to improve pedestrian safety. Closures are scheduled from 8:30 a.m. to 3 p.m. daily for pavement striping work. Work will begin in the Makaha area and proceed toward Nanakuli in the next six weeks. The Transportation Department advises motorists to drive with caution through the work area and to allow for extra travel time. Construction crews will be restriping faded crosswalks, painting pavement markings to notify drivers of pedestrian crossings ahead and moving intersection stop lines farther from certain crosswalks to give drivers more reaction time. The project costs about $75,000. HawaiiUSA Federal Credit Union is advising the public not to respond to a phone scam that began yesterday using the financial institution's name. Both members and nonmembers have been receiving automated messages on their home and cellular phones asking them to call (800) 505-9478. The announcement at this number says, "Welcome to HawaiiUSA Federal Credit Union Billings and Payments Department" and asks callers to enter their 16-digit ATM, credit or debit card number along with their personal identification number. The credit union has contacted federal authorities to look into the scam. HawaiiUSA Federal Credit Union has 10 branches on Maui and Oahu, and services more than 114,000 members. Police arrested a 23-year-old woman who allegedly rammed her car into another car in which her husband and mother-in-law were sitting. Police said that at about 9 p.m. Tuesday, the suspect had an argument with her 23-year-old husband in Wahiawa. Half an hour later, the suspect was driving her car and rammed it into her husband's car at the intersection of Lehua Street and California Avenue, police said. No one was hurt. Police arrested the wife on suspicion of first-degree criminal property damage. Police arrested two 16-year-old boys yesterday on suspicion of assault and intimidating a witness in the murder of an Ewa Beach woman May 25. Police said a 21-year-old man was allegedly confronted by a group of boys, and a 16-year-old boy allegedly assaulted him in Ewa Beach on May 31. Police said the second 16-year-old allegedly accused the man of being a witness in the Ewa Beach murder case. The teens were released pending investigation.